Browsing the next page of Meat Recipes. Rubs are an popular way to season a roast. Not only does it add flavor, but it creates a coat that helps seal in moisture and adds texture. 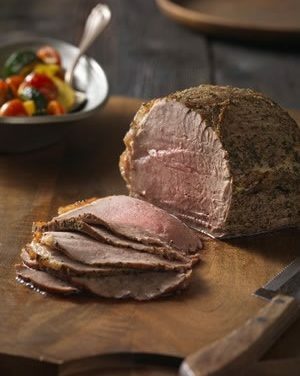 Recipe for Quick Italian Beef Roast with Zucchini and Tomatoes from our Main Dishes recipe section. This colorful stuffed roast makes a flavorful centerpiece to your next gathering. Treat your guests by serving this along side of sauteed vegetables and seasoned couscous. Recipe for Genoa-Style Stuffed Pork Loin from our recipe section. 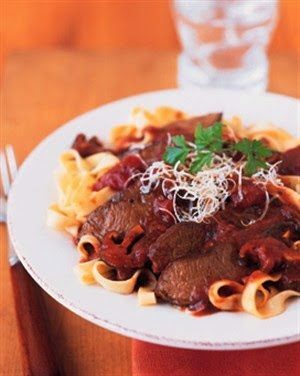 Recipe for Italian Braised Parmesan Beef with Wild Mushroom Sauce from our Main Dishes recipe section. Recipe for Ham and Peas with Mint and Tarragon from our Side Dishes recipe section. This colorful molded torte serves a crowd, looks quite elegant on the hors d’oeuvres table, and is easier to make than it looks. Make a day ahead to let set, unmold about an hour before serving with crackers. Recipe for Roasted Red Pepper, Ham and Parsley Torte from our Appetizers recipe section. 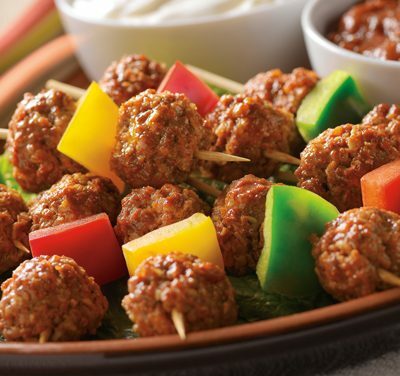 Recipe for Mexican Meatball Kabobs from our Appetizers recipe section. 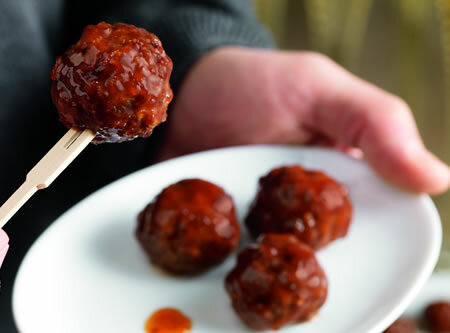 Recipe for Meatballs with Cranberry Barbecue Sauce from our Appetizers recipe section. 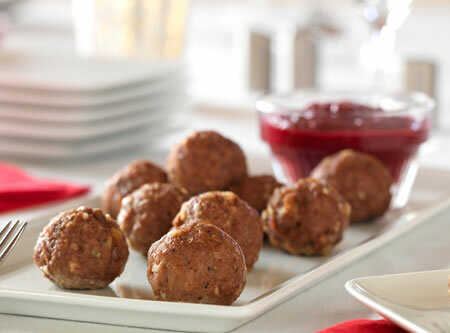 Recipe for Mini Meatball Appetizers with Apricot Dip from our recipe section. 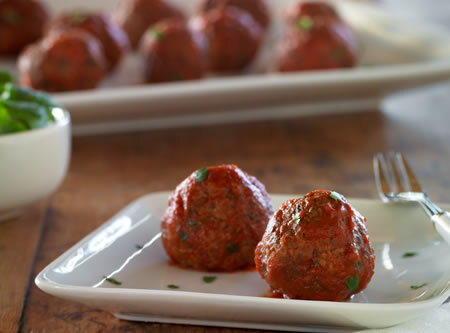 Recipe for Chipotle Albondigas Meatballs from our Appetizers recipe section. 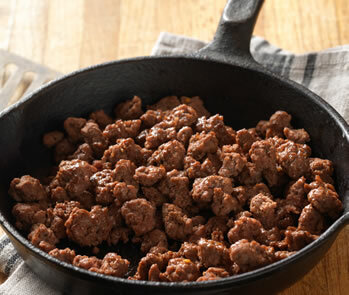 Recipe for Homemade German Beef Sausage from our Meat recipe section. 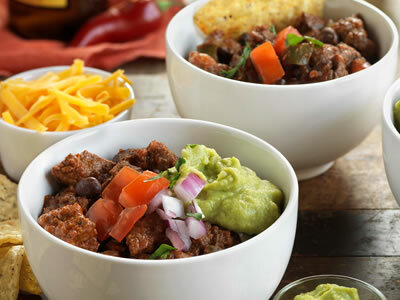 Recipe for Steak, Roasted Tomato and Bean Chili from our Main Dishes recipe section. 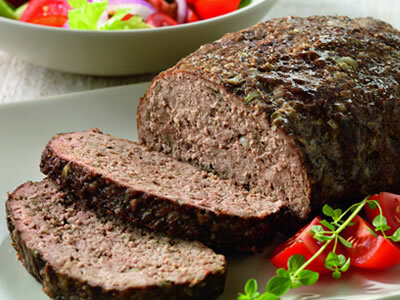 Recipe for Athenian Meatloaf with Yogurt-Cucumber Sauce from our Main Dishes recipe section. 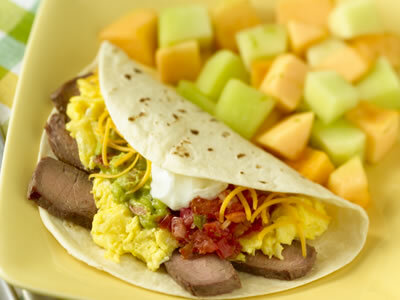 Recipe for Mexican-Style Steak and Eggs Breakfast from our Breakfast and Brunch recipe section. This recipe was inspired by Pho, a traditional Vietnamese soup. You can modify the recipe by using vegetable stock and tofu for a vegetarian version. 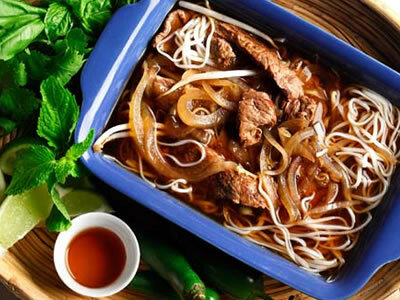 Recipe for Vietnamese Pho from our Main Dishes recipe section. Flavor: Friend or Foe of Healthy Eating? Zero Trans Fat: Does It Mean It’s Healthy?